I am almost in the Team's TOP TEN!! "Say, fellas, how cold IS it down there, anyways?" 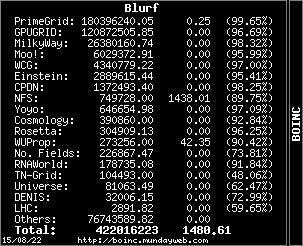 I refuse to upgrade the Boinc n my DC so you'll catch up in no time.